MALDIVE MUSTARDS SMASH BUDDHIST STATUES……. – The Tundra Tabloids……. MALDIVE MUSTARDS SMASH BUDDHIST STATUES……. 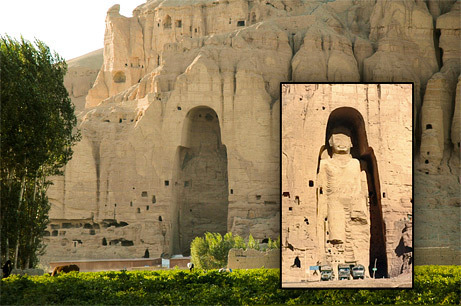 Just like the Taliban in Afghanistan did with the giant statues of Buddha, NOW YOU SEE IT, NOW YOU DON’T. 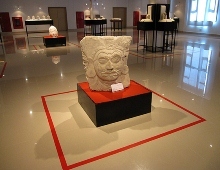 MALE — At the Maldives’ National Museum, smashed Buddhist statues are testament to the rise of Islamic extremism and Taliban-style intolerance in a country famous as a laid-back holiday destination. On Tuesday, as protesters backed by mutinous police toppled president Mohamed Nasheed, a handful of men stormed the Chinese-built museum and destroyed its display of priceless artefacts from the nation’s pre-Islamic era. Previous Post Previous Post THE MARXISTS AND ANARCHISTS ANSWER THE GREEK GOVERNMENT’S AUSTERITY AGENDA, ATHENS IN FLAMES……..
Next Post Next Post THE UK’S TWO TIER JUSTICE SYSTEM AT WORK…….